Under pressure: how much do you know about blood pressure? It’s important to have your blood pressure measured regularly, as blood pressure that is too high or low can cause health problems, and might be a symptom of other health conditions. Blood pressure: you know it’s important, and shouldn’t be too high or too low, but do you actually know what it is? What about how it’s measured, and when you should get yours checked? Six million Australians have high blood pressure, with nearly half of those not being treated or unaware of their condition. If you haven’t had your blood pressure checked recently, now is the perfect time to get educated about what blood pressure is and get yours checked. Blood pressure is the pressure of blood as it moves through your arteries when your heart pumps it around your body. During a blood pressure check, the measurement of your blood pressure is taken twice: as the heart beats and in between beats. The pressure will be higher when the heart beats, and then lessen in between, and these two pressure measurements are called your systolic and diastolic blood pressure. This is why your blood pressure result will always consist of two numbers, for example 120 when the heart beats, and then 80 in between. Blood pressure is often written like a fraction, like 120/80, and your doctor might use the term ‘over’ when talking about what your result is. Our example would be said “120 over 80”. What happens when you get your blood pressure checked? Once you’re over 18, a health professional, such as your GP, should measure your blood pressure regularly. Your blood pressure will also be measured before medical procedures like having surgery, and sometimes before getting a new medicine prescription. A blood pressure check isn’t invasive and shouldn’t hurt. Your doctor will place a material ‘cuff’ around your upper arm, which will circle the brachial artery that runs through your arm. Once in place, the cuff will inflate, squeezing your artery shut so no blood can pass through. Then the cuff will begin to deflate, releasing the pressure. At a certain amount of pressure, the blood will begin to squeeze through your artery, and this level demonstrates your systolic pressure measurement. When the pressure of the cuff reaches a low enough level that the blood can move through the artery smoothly, this measure is taken for your diastolic blood pressure. The whole procedure only takes a minute or two and can be done during a regular appointment with your GP. Many Queensland pharmacies also offer free blood pressure checks. A healthy blood pressure measurement is usually considered numbers under 120 over 80, with a gap of about 20-40 in between the two numbers. 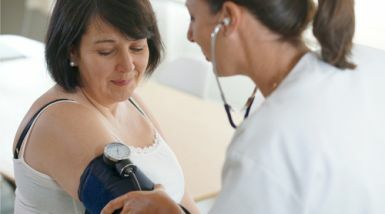 Your body can regulate your blood pressure to meet its needs, so if you have a high or low measurement, your doctor might measure again a few times on different days to get a good indication of your normal blood pressure. Having high blood pressure is called hypertension. More than 30% of adult Australians have high blood pressure. The majority of people with high blood pressure don’t display any symptoms, and you can’t ‘feel’ that you have high blood pressure, which is why it’s important to have your blood pressure checked regularly. Blood pressure often creeps up over time, so your doctor can track if this is happening by checking regularly over a number of years. If left untreated, high blood pressure can lead to heart disease, stroke, kidney failure, diabetes, eye disease, erectile dysfunction and other conditions. Some people with high blood pressure will need to take medication to manage their condition. You can find more information on keeping your heart and blood pressure healthy on the Heart Foundation website and the Stroke Foundation website. If you have concerns about your blood pressure, talk to your doctor about having a blood pressure check and discuss changes you might make if your measurement is high. 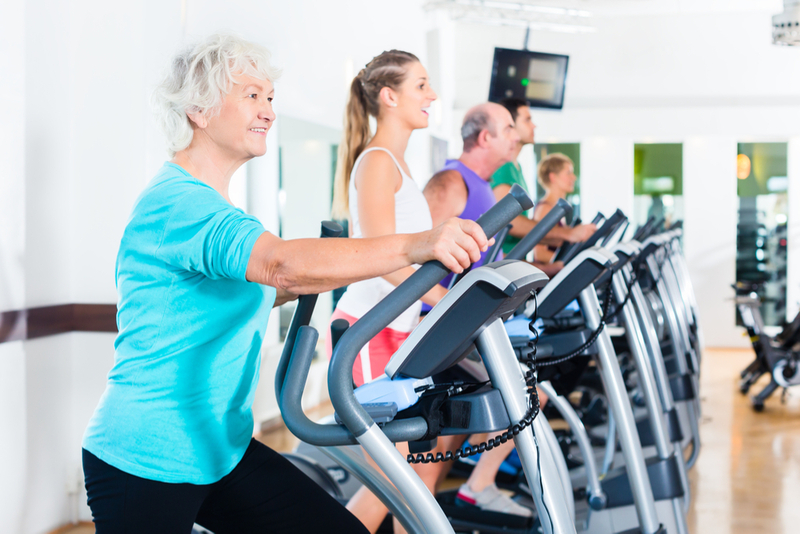 Some people have low blood pressure because they are very fit, and this isn’t a problem. Low blood pressure is only a problem if it causes damage to the body, such as not enough oxygenated blood pumping to the organs, especially the brain. In most cases, low blood pressure doesn’t need to be treated. If you have low blood pressure, your doctor might recommend things you can do to avoid feeling the symptoms, such as not getting dehydrated, avoiding hot showers and not standing up too quickly. Is blood pressure just a concern for older people? High blood pressure can affect anyone of any age, and the sooner it’s detected and managed, the better. Adults should have their blood pressure checked by their doctor at least every two years.